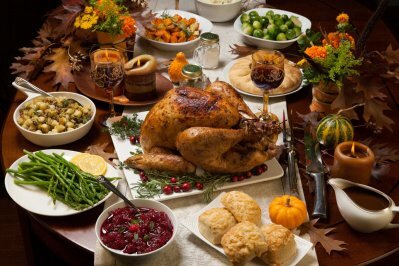 Thanksgiving signals the start of the holiday season leading up to Christmas	and New Year’s Day. 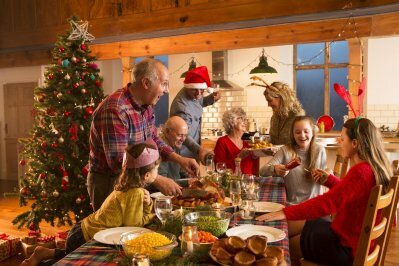 For most people and children, this also means	a time of year to enjoy in holiday favorites, from turkey dinners with	all the fixings to sweets, candies, cakes, pies, and other delectable delights. Here at Labbe Family Orthodontics, we enjoy celebrating the holidays and	offer the following tips and suggestions to help take care of your teeth. Invisalign treatment requires you to take out your aligners whenever you	eat, snack, or drink. It is essential to continue to do this throughout	the holiday season and Christmas festivities. 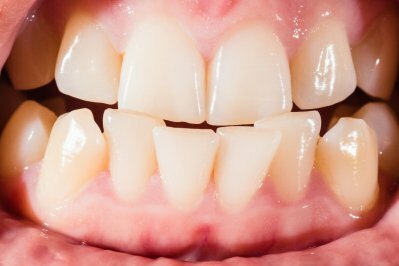 Leaving your aligners in	can cause them to get stained, damaged, or broken. In addition, while it can be tempting to just stop treatment and then start	back up again after the New Year, it can cause major setbacks. The current	set of aligners will not fit correctly and may require	having new aligners created by your orthodontist. Always bring along your aligner case for storage. Your aligners should never be wrapped in a napkin or just put into your	pants pockets. By remembering to carry at least one case with you all	the time, you don’t have to miss out on your favorite holiday foods	and drinks. Carry a travel oral care kit with you. Make sure you remember to bring along a toothbrush, toothpaste, and some	floss whenever you head out for holiday and Christmas parties. This way,	you can brush and floss your teeth after eating and drinking before putting	your aligners back in. Never put the aligners back in if you cannot brush and floss. There are food and beverage particles on your teeth and, if you put the	aligners back on, you are trapping them in an environment where they can	damage your teeth. If you forgot your oral care kit, leave the aligners out until you can	brush and floss. Aside from trapping food and beverage particles, putting your aligners	back in without brushing or flossing can cause the aligners to take on	bad breath odors and start to smell. Be ready to make adjustments to your normal oral care during the holidays. You may already be used to brushing and flossing three to five times a	day. During the holiday season, if you snack more in between meals, be	prepared to brush and floss more often. If you are traveling, pack extra aligner trays and keep your previous set	of aligners. When you are away from home, you need to be prepared in case your current	set of aligners gets damaged or you forget an aligner tray in a hotel. If one or both of your current aligners is damaged, you can put in your	previous ones until you return home and can see your orthodontist. 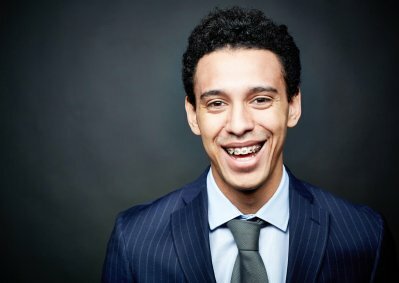 Caring for your braces is somewhat different from Invisalign because you	do not have the freedom to eat and drink whatever you desire. You must	pay careful attention to sticky treats, sugary snacks, and other types	of food that can get stuck in your hardware. Stick to your normal oral care. You should already be used to brushing and flossing several times a day	to keep food and beverage particles from getting trapped in between teeth	and your braces. Even though you might want to skip part of your oral	care, it is not good for your teeth. Even if you graze all throughout the day, take time out to give your teeth	a good brushing and flossing at least a few times. The more your brush throughout the day, the fewer food particles and beverage	acids there will be left on your teeth. Plus, don’t neglect your	morning and nighttime routines regardless of when you are going to sleep	and getting up. Beware of snacks that can stick easily to your braces. 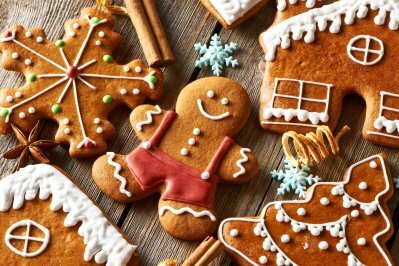 From candy canes to gummy bears and other types of holiday treats, like	caramels and toffees, you want to make sure to get any residue removed	promptly. The longer these stay on the teeth and braces, the more tooth-decay-causing	bacteria they can produce. Do not use your braces to open bottles. Sure, your relatives might entice you to try to open a bottle with your	hardware, but this is not a good idea. 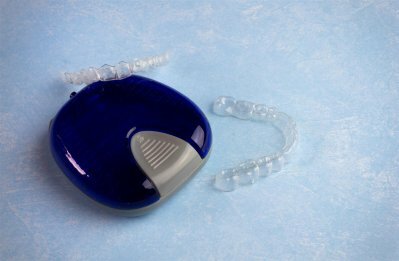 It can damage the wires and braces,	as well as the enamel on your teeth. Do not use your braces to open boxes, packages, or gifts. You might think your braces can also function as scissors to tear an opening	in a box, package, or gift. However, you can still cause damage to your	hardware and teeth. TIP: For parents with tweens and teens who wear braces or use Invisalign, help	remind them of proper oral care habits, as they can easily get distracted	from all the excitement of the holiday season. Monitor how many sugary snacks and treats you are eating. Sure, grandmother’s Christmas cookies are always a favorite, but	you don’t have to eat the entire batch she made in one sitting. Enjoy a few cookies now, brush and floss afterward, and save some for later. Eat and drink in moderation. For many people, the holidays and Christmas mean plenty of “cheat”	days where they will want to eat and drink as much as they want. Yet,	you will want to maintain some control on holiday “cheat”	days because there will be so many foods and drinks you will want to sample. Not only can you avoid feeling bloated, but it is also easier to keep	up on brushing and flossing when you eat and drink moderately. Your teeth are not appliances or tools. Just like those of us with braces, you should never use your teeth for	anything other than eating. You can crack, chip, and damage your teeth. If you accidentally do, there are orthodontic services that can help restore	your teeth. Drink plenty of water. Water will help remove food and beverage particles from your teeth and	will help keep you hydrated. You can also rinse with water after snacks	and meals before you brush and floss, to help pre-clean the teeth. Keep plenty of guest toothbrushes on hand. If you are entertaining family, friends, and guests in your home, make	sure you stock up on extra toothbrushes so everyone can practice good	oral care throughout the holiday and Christmas season. Just because the holiday season is upon us, it does not mean you cannot	enjoy all of your holiday and seasonal favorite foods and beverages. By	keeping up on your oral care and orthodontic treatment and making a few	alterations to brush and floss more often, you will have a fun and exciting	time and not have to worry about damaging your teeth. For more oral care tips to keep your teeth healthy this holiday and Christmas	season, or for	questions regarding Invisalign and braces orthodontic care, please feel free to contact Labbe Family Orthodontics at (443) 603-3448 today! We have locations in Annapolis, Gambrills, Bowie, and Greenbelt, Maryland. All of our locations offer a relaxing environment, with plenty of amenities,	which is why we are known as the FUN orthodontist!